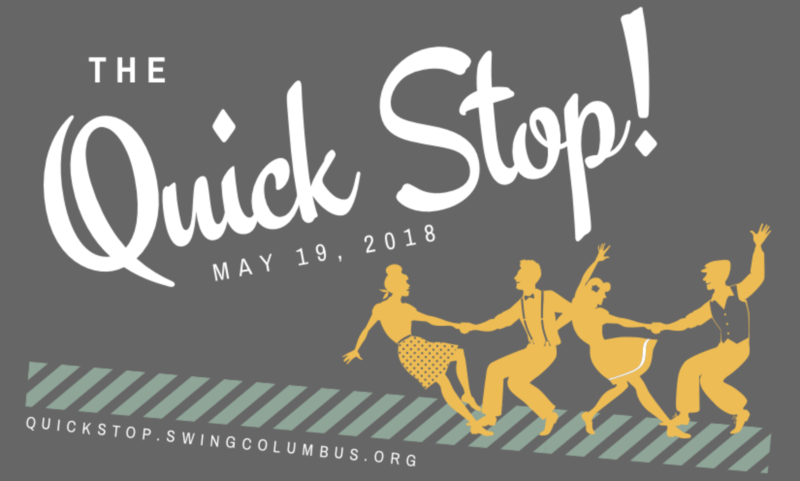 The Quick Stop is a single-day Lindy Hop swing dance event in Columbus, Ohio featuring lessons from inspiring instructors, plus an evening dance with live music! 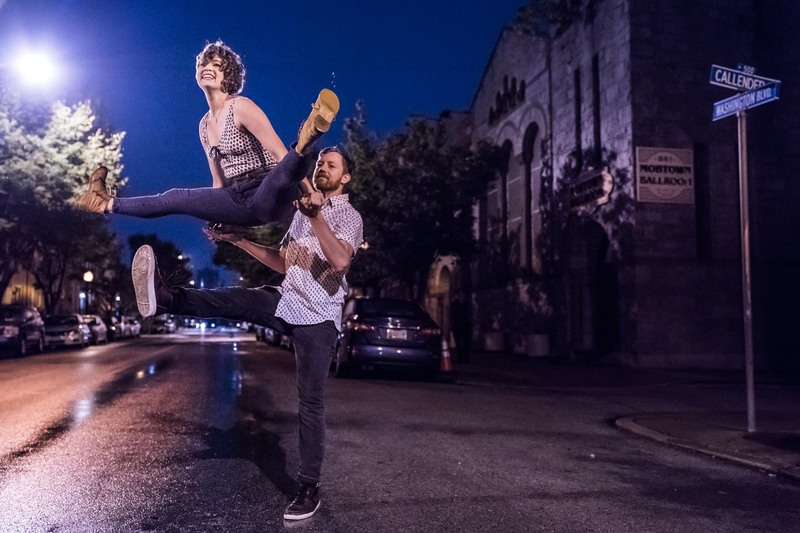 Beyond being descriptive to your length of stay in Columbus, the event name “The Quick Stop” comes from a dance move in Lindy Hop, most often seen in a swing out. The following animation is likely one of the most famous “Quick Stop” moments ever! No partner is required, but if you have a friend or family member who might be interested, bring them! This is a very social event and we encourage you to ask for dances as often as you are asked to dance. Comfortable/athletic clothes for classes are suggested, but wear your dance shoes. Street shoes are discouraged, as dirt and other debris can ruin dance floors and soles of expensive dance shoes. We suggest dressing up for the live band in the evening. What happened to the Columbus Lindy & Blues Exchange? 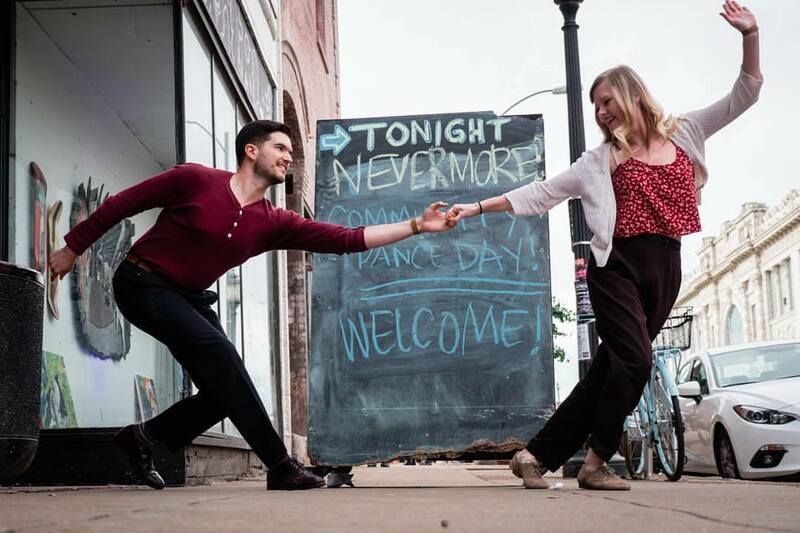 SwingColumbus was receiving requests for lessons more than social dances. We opted to provide a workshop weekend experience responding to the instructional needs of our local dancers with intermediate dance skills. We welcome our regional friends to attend!